The Seacoast Mallow is found growing wild in subtropical, coastal regions of southern Asia. 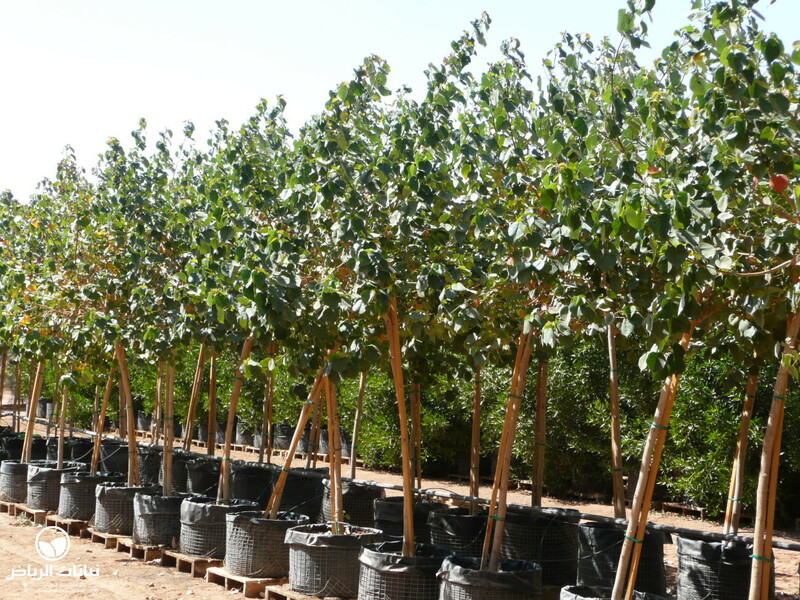 It is an ornamental tree attaining up to 10 metres in height and width and, owing to its provenance along watercourses, it tolerates stagnant water better than other trees. High salinity and even brackish water are tolerated. 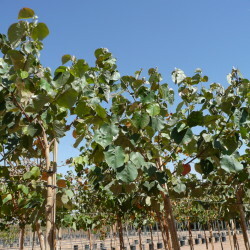 It grows fast in a variety of soils and tolerates some drought, but does not appreciate low atmospheric humidity combined with prolonged dryness. Leaves are heart-shaped, evergreen and make a dense crown. 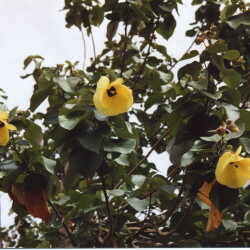 Bright-yellow petals form a cup some 15 cm across with a long carpel protruding from a crimson centre. After just one or two days, they are shed, so that trees are not ideal canopies for pedestrian precincts. Often, they turn orange or red before they are dropped. 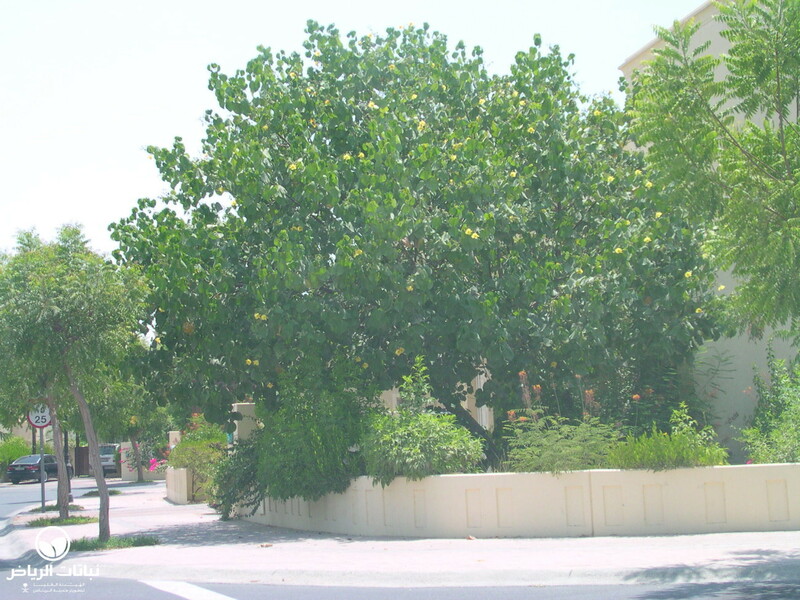 Apart from this bad habit, there are no further disadvantages, so that this species is often seen as an appealing street tree. Seeds should be stratified and soaked in warm water prior to sowing, and hardwood cuttings also grow readily to imitate the traits of the parent plant. 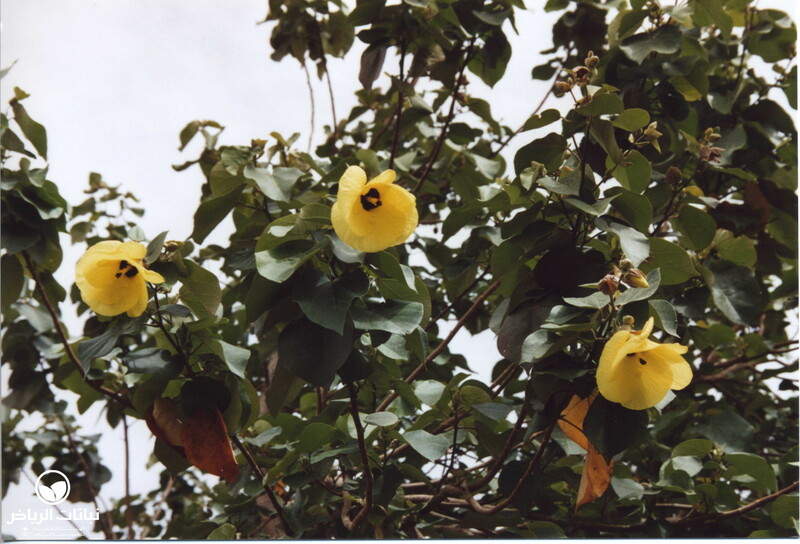 The latter will also flower sooner than plants grown from seeds. The Seacoast Mallow is a vigorous plant that does well in containers. 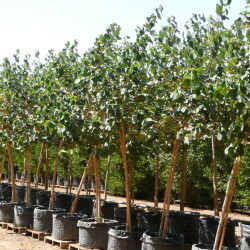 It withstands pruning and may be kept as a small standard or used as a hedge for screening. For flowering, it requires plenty of light, and frequent irrigation with occasional fertilisation is recommended. 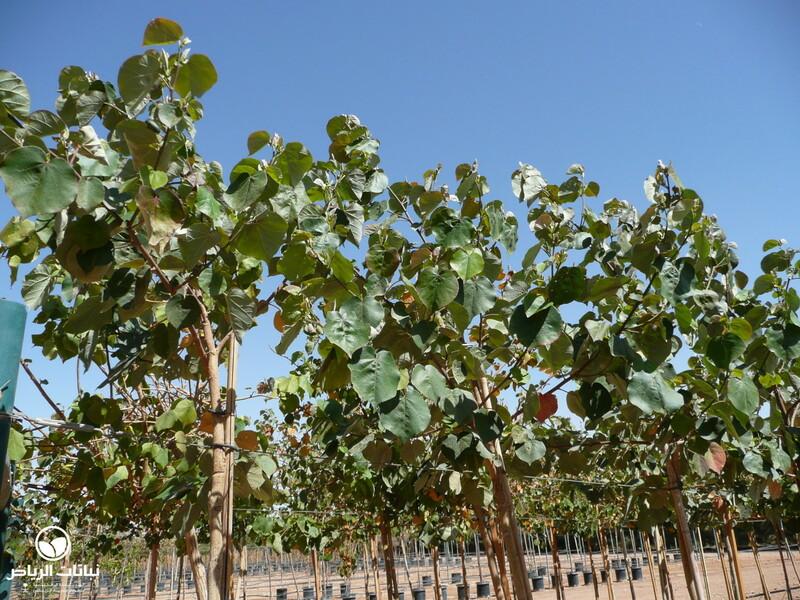 Light frosts may damage the leaves, but plants recover quickly. 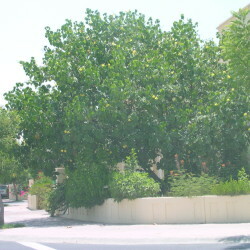 There is often confusion in Arriyadh between this plant and Thespesia populnea.